On Saturday, April 30, Nica of Los Angeles will be free on Amazon (as an ebook). This is the first book in the FRAMES trilogy of speculative fiction/detective novels. If you’ve been meaning to read Nica of Los Angeles, now would be an excellent time – book 2 is coming soon. This is a fantastic book. The characters are interesting, the dialog witty and the story straddles the line between strange and believable perfectly. If Neil Gaiman and Douglas Adams got together to write a Raymond Chandler-style private eye story, this is what would come out. Publication Celebration Deal: Nica of Los Angeles! THIS DEAL IS OVER BUT STAY TUNED, THERE WILL BE OTHERS. Nica is here at last and for the next 3 days, just one thin dollar ($1)! 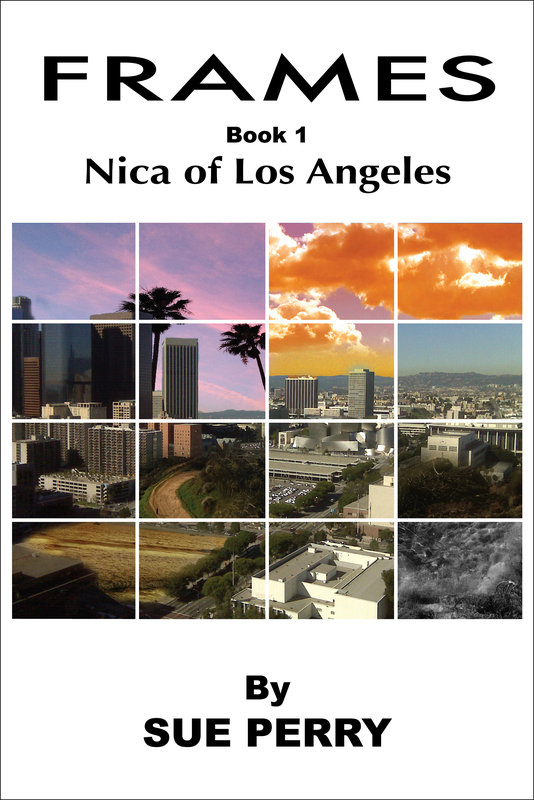 Nica of Los Angeles is a speculative fantasy with detective and dystopian elements. You’ve never read anything quite like it! This is the first of four novels in the FRAMES series. P.S. Disgruntlement guarantee: if you already bought it at a higher price, let me know and I will make it up to you. Read (rave!) reviews at Goodreads. Download sample chapters from: Smashwords or Noisetrade. Step 1: Go to Nica‘s page at Smashwords. Step 2: Click the “Buy” button and follow checkout procedure. Step 3: To get the discount, use coupon code DQ24S.